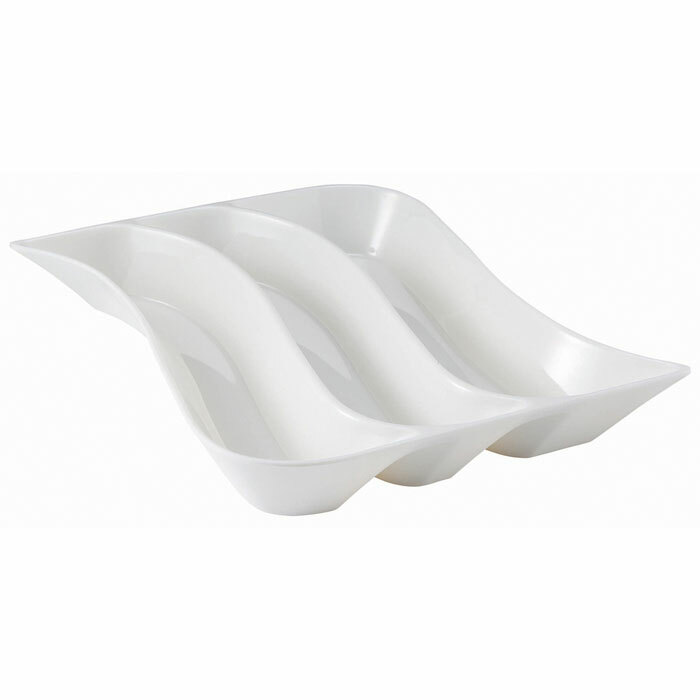 Made from a composite material of porcelain and melamine, this triple channelled serving tray offers the beauty of porcelain with the durability and affordability of melamine. 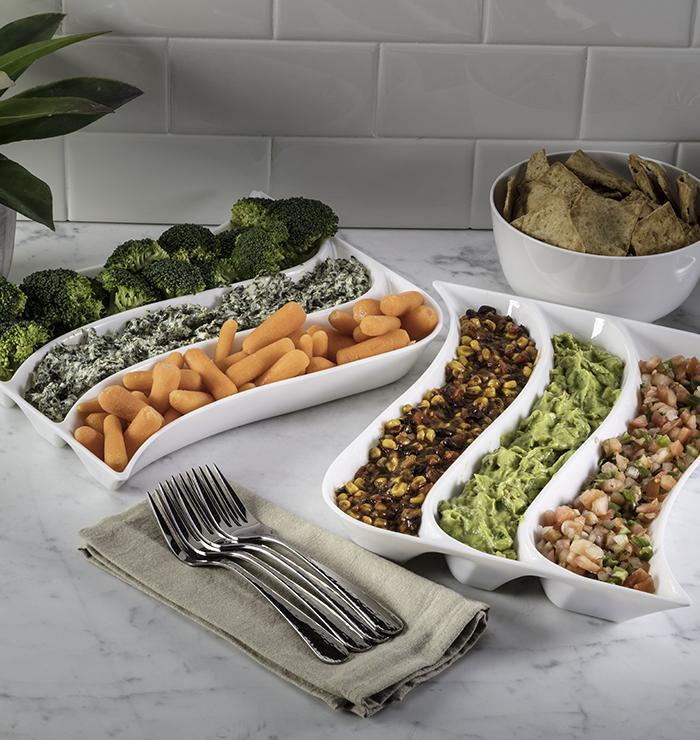 An impressive serving piece that has space for 3 different appetizers or dips. Strong and durable, it is ideal for both indoor and outdoor use. Size: 12" x 9.5" x 1.75"